This entry was posted in News and tagged Detroit Tigers, Ian Kennedy, Justin Verlander, PETCO Park, Recaps, San Diego Padres, While You Were Drinking. Bookmark the permalink. Ian Kinsler‘s double finds the left-center wall, scoring Rajai Davis from first and putting the Tigers on top early. Jedd Gyorko’s sac fly scores Chris Denorfia, who stole two bases to put himself in scoring position, which ties the game. Miguel Cabrera‘s first hit of the series is a double that scores Ian Kinsler and gives the Tigers a one-run lead. Torii Hunter comes out swinging to smack a grounder through the infield to score two runs and extend the Tigers’ early lead. 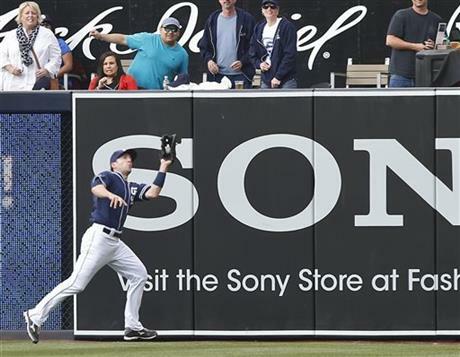 Yasmani Grandal hits a line-drive single as Chase Headley races home. Austin Jackson hits a two-run double to extend lead. Padres manager Bud Black challenges the safe call and it is overturned and ruled an out in the 8th. 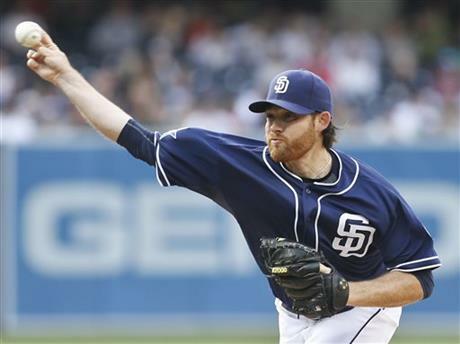 San Diego Padres starting pitcher Ian Kennedy faces the Detroit Tigers in the first inning of a baseball game Saturday, April 12, 2014, in San Diego. 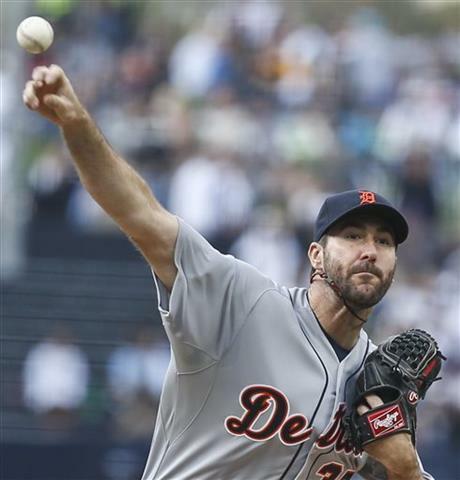 Detroit Tigers starting pitcher Justin Verlander works against the San Diego Padres in the first inning of a baseball game Saturday, April 12, 2014, in San Diego. 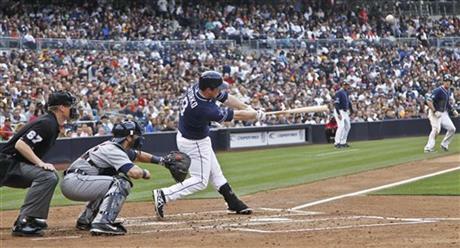 San Diego Padres’ Jedd Gyorko lofts a sacrifice fly to left field that scores Chris Denorfia from third in the first inning of a baseball game against the Detroit Tigers Saturday, April 12, 2014, in San Diego. San Diego Padres right fielder Chris Denorfia makes the running catch in the right field corner to take a hit away from Detroit Tigers’ Austin Jackson in the first inning of a baseball game Saturday, April 12, 2014, in San Diego. 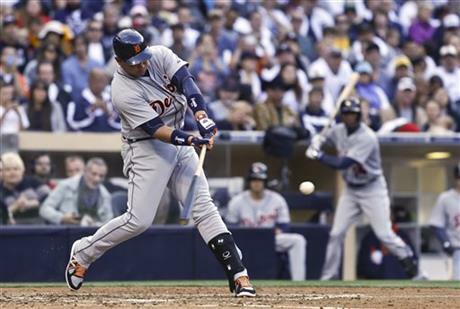 Detroit Tigers’ Miguel Cabrera drives a double to the left field corner to drive in Ian Kinsler in the third inning of a baseball game against the San Diego Padres Saturday, April 12, 2014, in San Diego.